Good dental care is costly, and many people could not afford to undergo regular cleanings or major dental work without private dental coverage to offset the expenses. 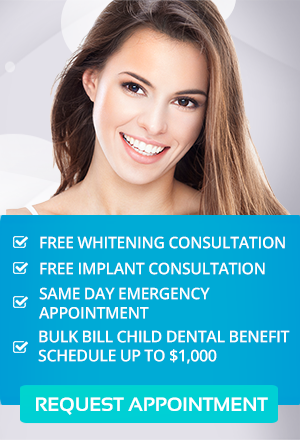 However, obtaining dental insurance in Melbourne is no bargain if you don’t take advantage of its benefits. At Simply Smiles Dental, we are dedicated to helping you make the most of your dental insurance for optimal oral health and maximum rebates. Dental insurance varies depending on the insurance company, your age, how many people are on the plan and how much coverage you purchase. Generally speaking, however, most plans cover two checkups and cleanings every year at no extra cost to you. This free preventative care often includes fluoride treatments and X-rays, and the waiting period is typically two months. Other dental procedures have annual rebate limits for each person, and waiting times for restorative treatments can range from two months to a year. If you are confused about what your dental insurance offers, call your fund today, where a staff member who handles claims on a daily basis can help you make sense of it all. The key to maximising your insurance benefits and saving money is to take advantage of the preventative care offered. A scale and clean every six months, coupled with good oral hygiene at home, is the best way to prevent periodontal disease. Also called gum disease, this condition requires frequent, costly periodontal treatments for life to prevent tooth loss and other devastating health issues. Moreover, twice-yearly checkups with your dentist in Melbourne can reveal new problems in their earliest stages, allowing for conservative and inexpensive treatments rather than extensive dental work down the road. Restorative dental procedures can fall under either a general dental plan or a major dental plan. The major treatments, which can include root canal therapy, crowns or dental implant surgery, often have the longest waiting times, and it is to your benefit financially to wait it out if possible. For example, if there is a 12-month waiting period for wisdom tooth extraction, there is no harm in waiting if your impacted wisdom teeth are not yet causing problems. However, when the waiting period is up, you should take advantage of your benefits before complications do occur. Simply Smiles Dental accepts most Private Health Insurance Benefits including MediBank and HCF, and all major health funds. If you aren’t sure if we’re a provider for your plan, or if you simply have questions about your coverage, do not hesitate to contact us. Our helpful staff members are happy to assist you with taking advantage of everything your dental plan has to offer, and we also have convenient financing options to help cover what your insurance does not.